This dish is a Fry Family favorite. There's a story that goes with this dish. When I was very young, my father worked for Beatrice Shillito (daughter of John F. Shillito of the department store Shillito family). Miss Shillito had traveled extensively when she was younger, (back in the 1920's) and had dined once in Milan, Italy. Because she did not like garlic which is, of course, so extensively used in most Italian cooking, she requested a dish that did NOT include garlic. 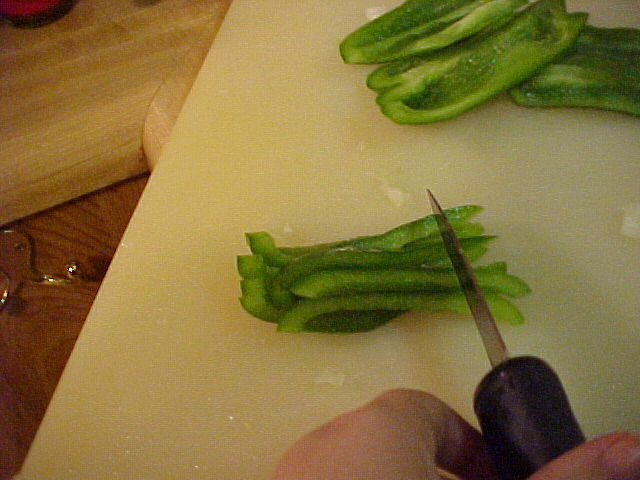 The chef prepared this dish for her and afterward, she was so pleased with it, she requested the recipe. She shared this with my father (who also has never cared for garlic) and thus, the recipe Miss Shillito brought back from Milan lives on in Miamiville, Cherry Grove and other parts of Ohio. My brother, Jeff makes it with fresh mushrooms and adds garlic and calls his version "Spaghetti Ala Miamiville". 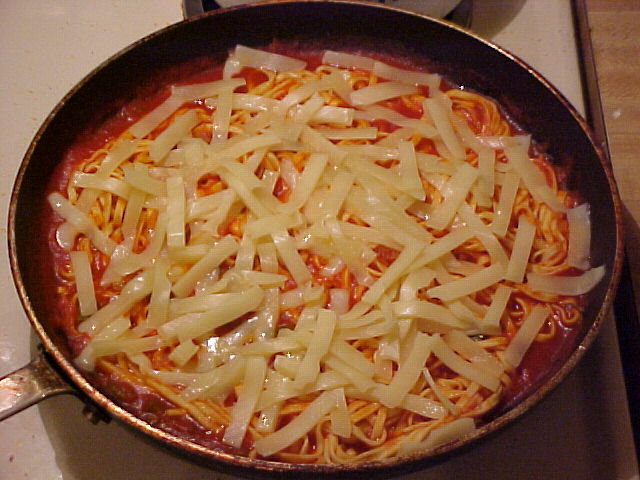 The recipe shown here is closer to the dish Miss Shillito liked so much back in Milan all those years ago. 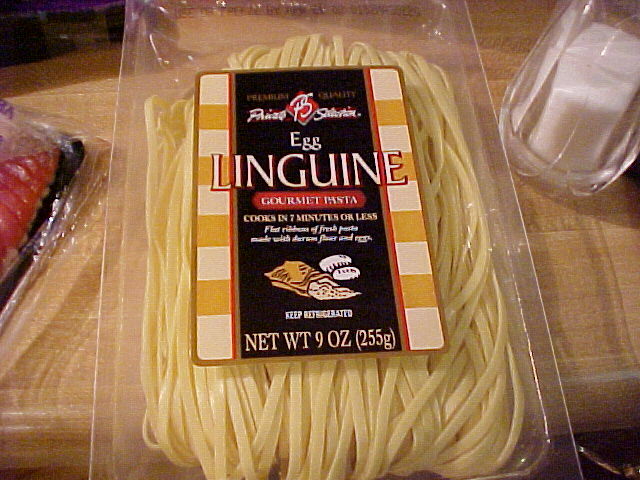 I strongly recommend the new varieties of fresh pasta for this dish -- not only does it cook up quicker than other pastas you can purchase, it is very good and tasty. 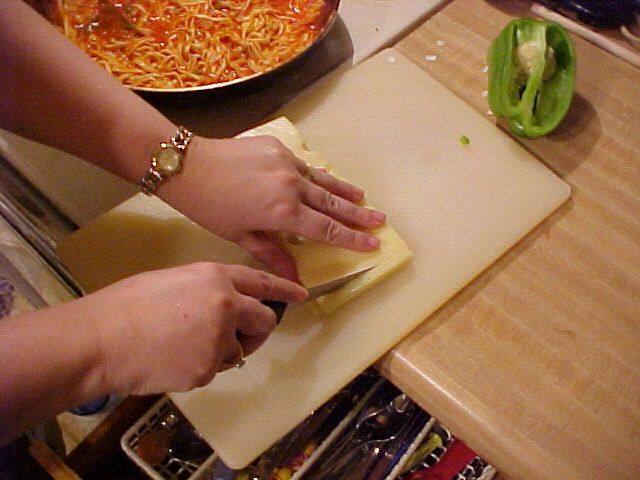 Of course, you can always make your own pasta if you feel very adventurous and I will eventually be featuring my home made noodles on this site to help you with that. 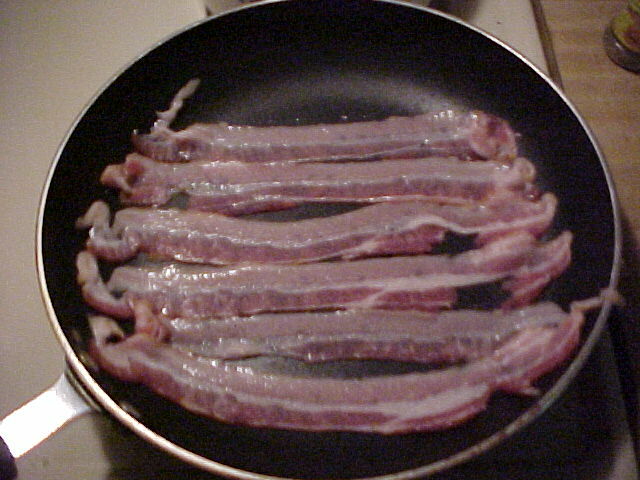 Fry bacon till crisp. 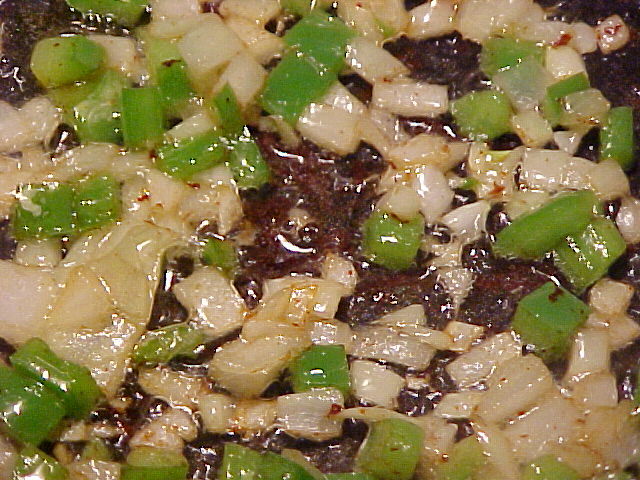 Then remove from skillet and drain off all but about a tablespoon of the drippings. 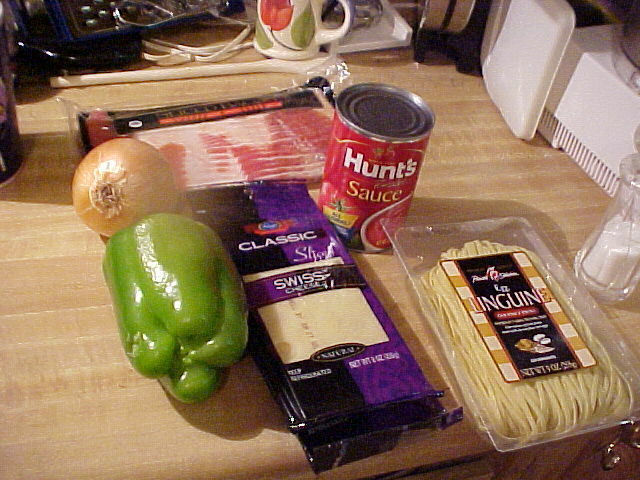 While bacon is frying and spaghetti is boiling, chop onion and green pepper. 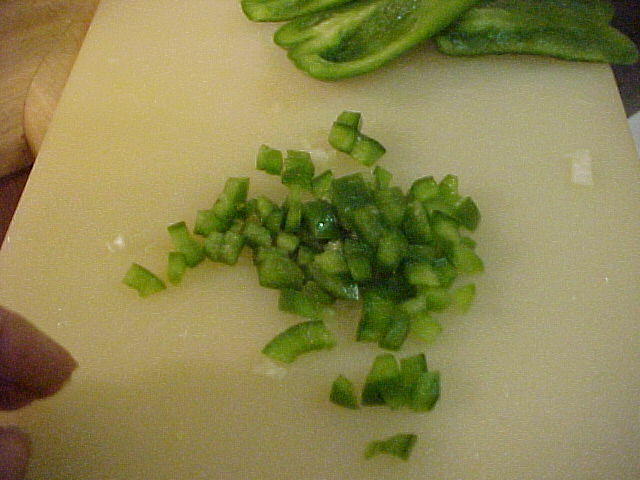 Saute in the onion and green pepper in the remaining tablespoon of bacon grease. 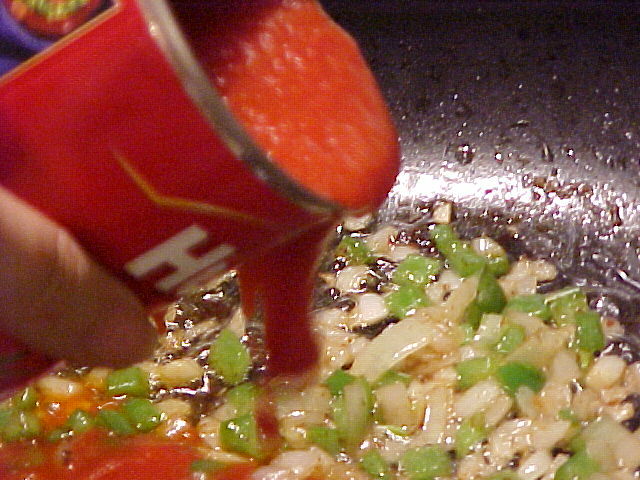 Stir occasionally to keep from scorching. 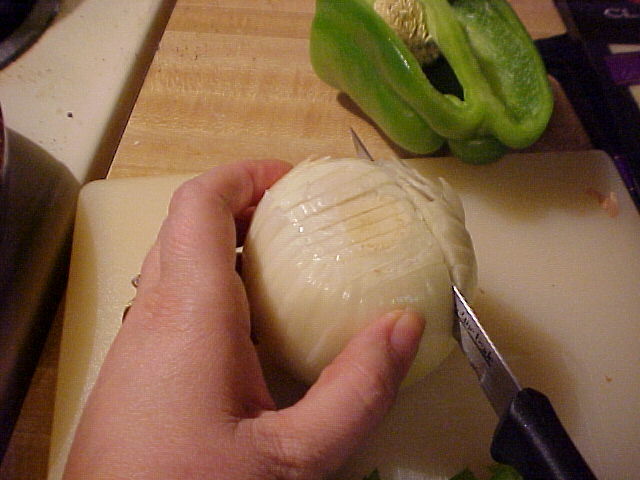 Stir in the tomato sauce once the vegetables are tender -- the onions will be somewhat translucent when they are done enough. 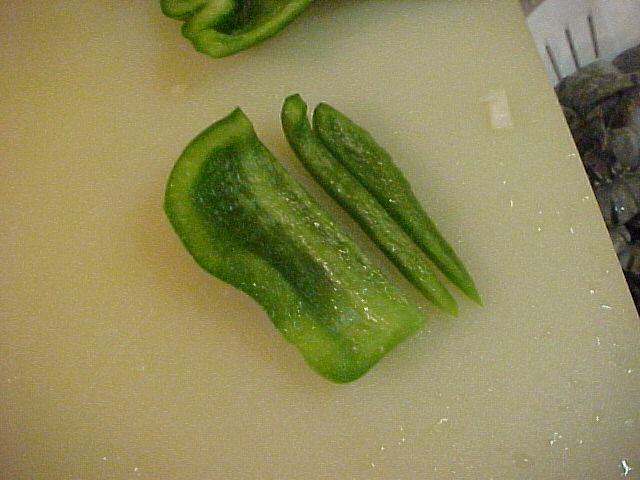 Add salt and pepper and simmer. 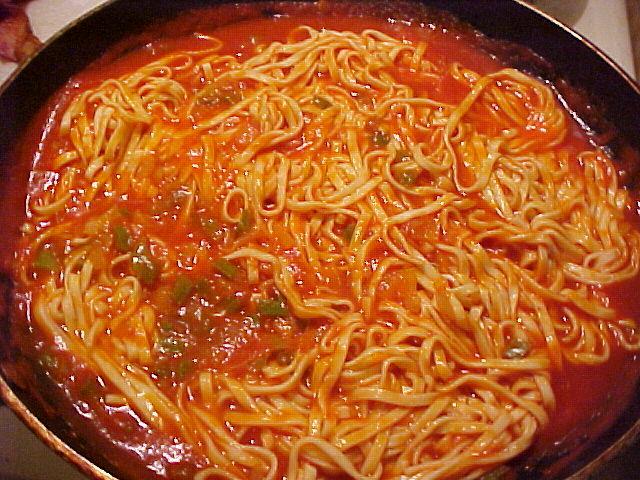 When pasta is done, drain, rinse and then stir into the sauce in the skillet and allow to simmer about 10 minutes. 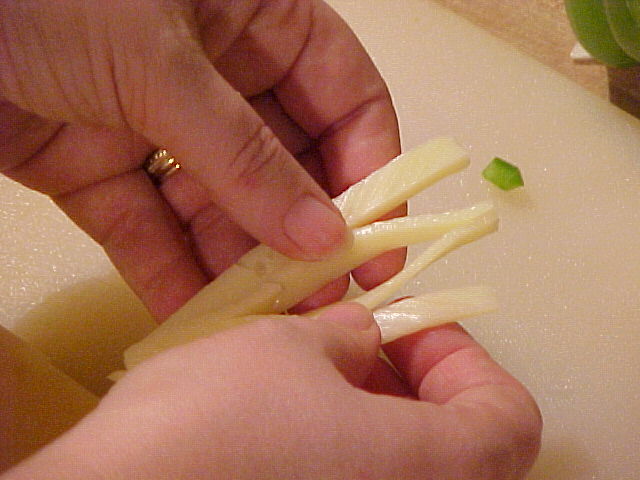 Slice the swiss cheese into strips. 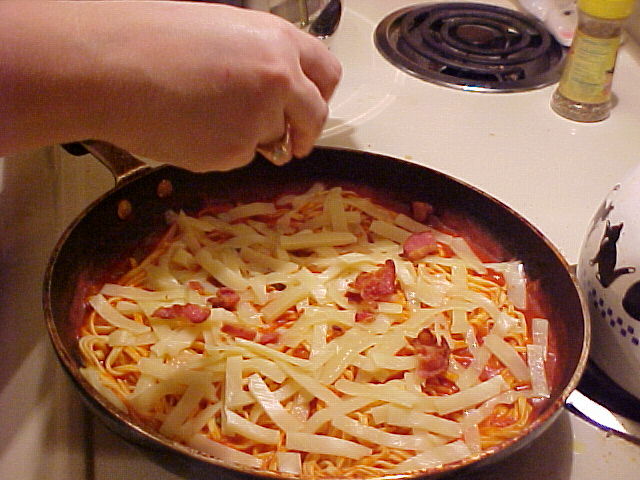 Scatter cheese on top of pasta. 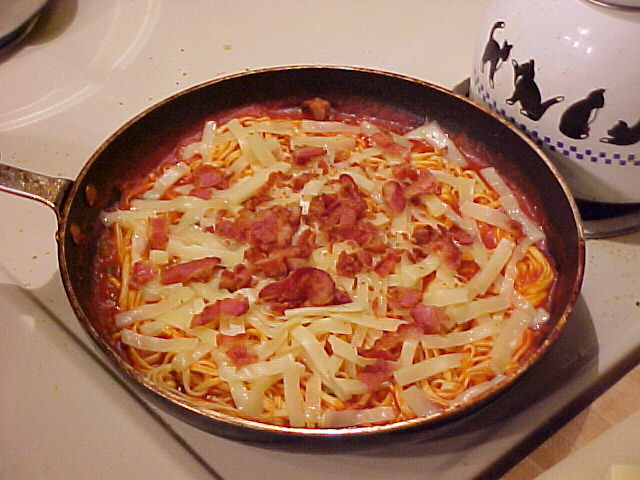 Crumble bacon and sprinkle on top of the pasta and cheese. 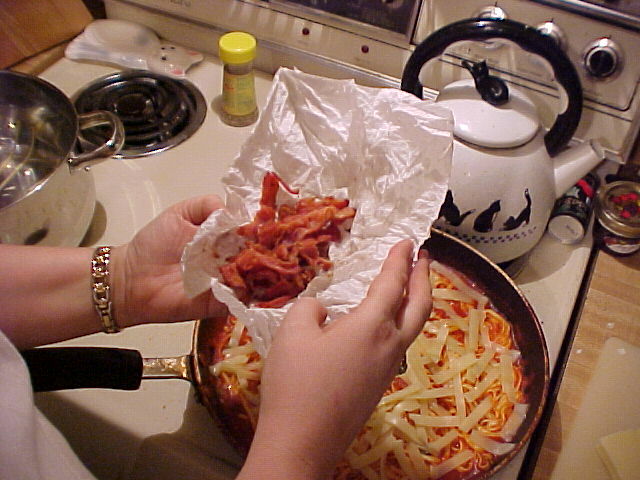 Scatter the crumbled bacon on top.